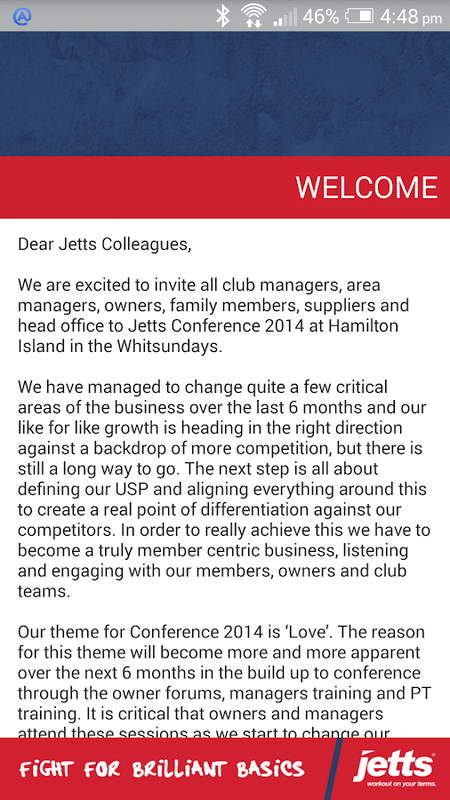 We are excited to invite all club managers, area managers,owners,family members, partners and support office team members toJettsConference 2014 at Hamilton Island in the Whitsundays. We have managed to change quite a few critical areas ofthebusiness over the last 6 months and our like for like growthisheading in the right direction against a backdrop ofmorecompetition, but there is still a long way to go. The next stepisall about defining our USP and aligning everything around thistocreate a real point of differentiation against our competitors.Inorder to really achieve this we have to become a trulymembercentric business, listening and engaging with our members,ownersand club teams. 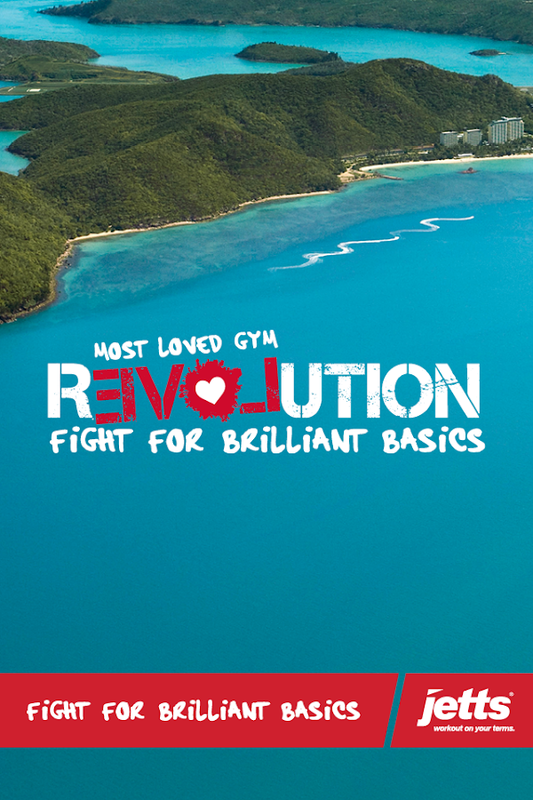 Our theme for Conference 2014 is ‘Love’. The reason forthistheme will become more and more apparent over the next 6 monthsinthe build up to conference through the owner forums,managerstraining and PT training. It is critical that owners andmanagersattend these sessions as we start to change our approach toall ofour relationships within Jetts. 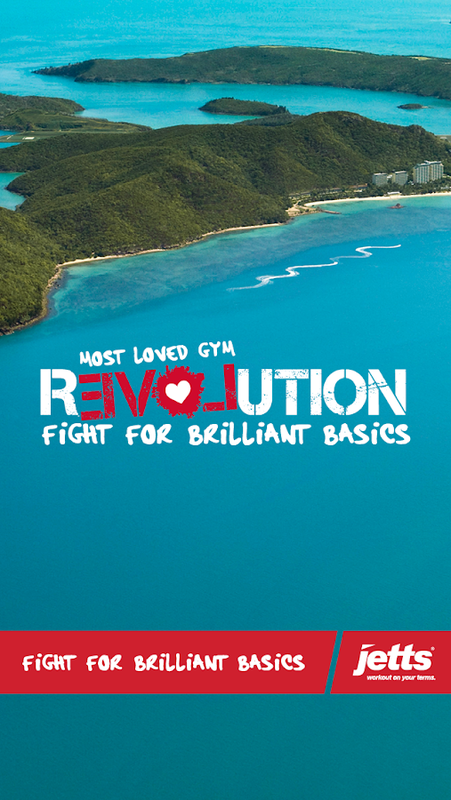 At the heart of this change is our relationship with ourMembers,both existing and new. 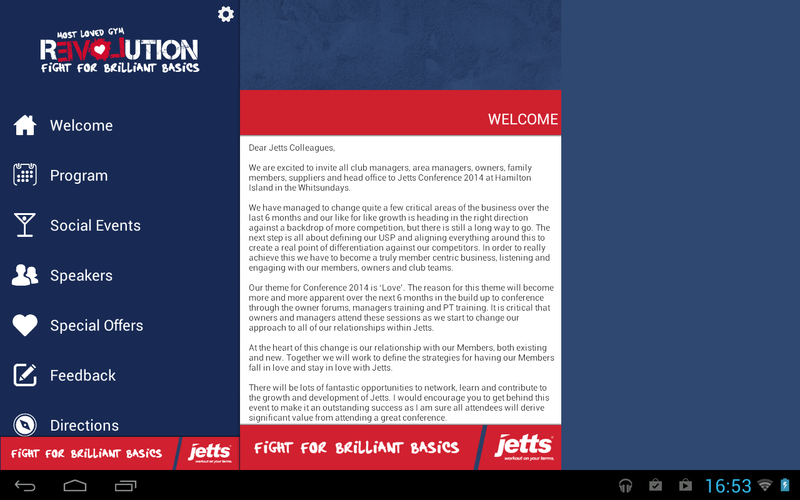 Together we will work to definethestrategies for having our Members fall in love and stay inlovewith Jetts. 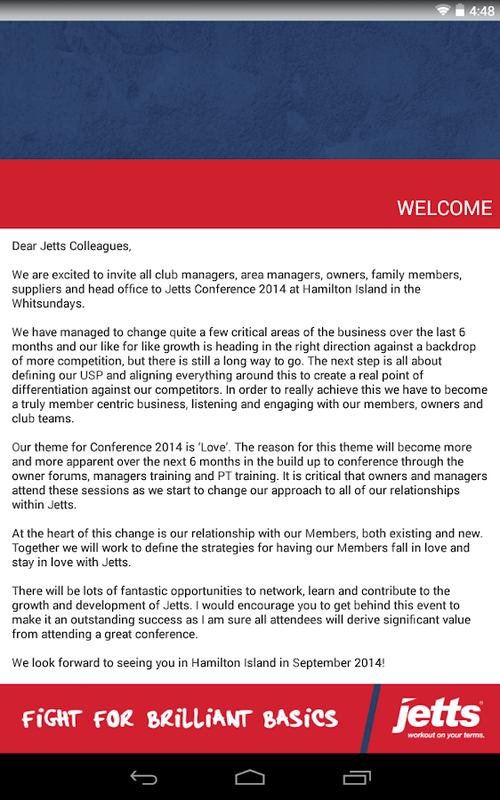 There will be lots of fantastic opportunities to network,learnand contribute to the growth and development of Jetts. Iwouldencourage you to get behind this event to make it anoutstandingsuccess as I am sure all attendees will derivesignificant valuefrom attending a great conference. 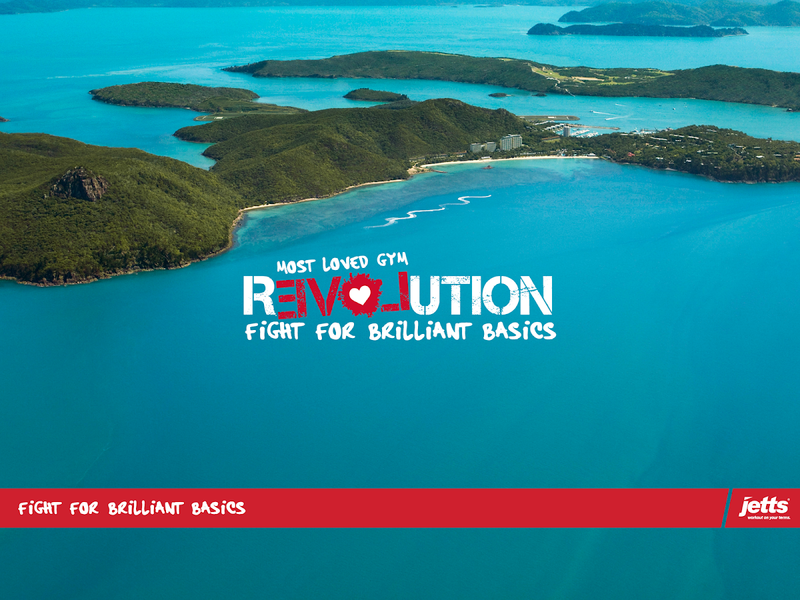 We look forward to seeing you in Hamilton Island inSeptember2014! Welcome to the Westpac Innovation Services events portal, the placeto access the latest information on current events held by theWestpac Innovation Services team. This is a closed proprietarynetwork to facilitate communication amongst participants andpresenters attending our events. Hosted by Richmond Fellowship Queensland(RFQ)and in partnership with the Queensland Mental HealthCommission,the 12th Biennial Asia Pacific International MentalHealthConference will be held between October 24 - 26, 2016 attheBrisbane Convention and Exhibition Centre, Queensland,AUSTRALIA.The conference program and pre-conference workshops featuresomeof the world’s most progressive and influential mentalhealththought leaders, together with leading-edge thinkers withlivedexperience and from clinical and rehabilitation services,primaryhealth and human services, research and evaluation, publicandsocial policy sectors.The program explores the concept of Recovered Futures:People,Practice, Partnership and Policy across the key themesof:PEOPLE: Building self-managed recovery – transformed livesPRACTICE: Building evidence – practice, service models,research,outcome measurementPARTNERSHIPS: Building connections – public, private,communitysectorsPOLICY: Building hopeful and cost effective mental health andwiderhuman service systems.Headlining the event is internationally reputed USPsychiatristDr Daniel Fisher, who through his experience of adiagnosis ofschizophrenia developed the Empowerment Model ofRecovery and thePACE/Recovery program that helped shift the USmental health systemto a recovery orientation. He is joined byrenowned keynote speakerDr Manaan Kar Ray, a UK psychiatrist who isjoint lead for PROMISE,a framework transforming the nature of dayto day interactions atthe front-line, Australian politicalstrategist Dr John Mendoza andPsychologist and Research Specialistat the Parenting ResearchCentre, Dr Laura Hayes.ABC journalist and presenter, Sarah Ferguson, will facilitateaQ&A Panel featuring the conference keynote speakers, andtheprogram includes very special performances by the NunukalYuggeraDance Group and the Malu Kiai Mura Buai Dance Group at theopeningand closing ceremonies. The Honours Club is a Fuji Xerox Australiaincentive, designed to reward and recognise significant achievementin contribution toward our business revenue. Welcome to Australia’s LARGEST and ONLY 'aviation dedicated' expo!Jump on board and join us for the 2014 Aviation CareersExpo.This one-day event is targeted towards providing an insightintoaviation careers, training and employment. Saturday, 23August.10:00am - 4:00pm. 25 Boronia Road. BrisbaneInternationalAirport.Aviation Careers Expo 2014Experience the world of Aviation and find out how your careercantake off.Join us on Saturday, 23 August, 10:00am - 4:00pm, 25BoroniaRoad, Brisbane International Airport.Now in its 14th year, the Aviation Careers Expo iscontinuallyrecognised as 'THE' major event on the aviation industrycalendar.Join some of the most respected companies andtrainingorganisations in the industry for a full day of careerdefininginformation and entertainment.The Sky is the LimitWant to take your career to new heights? Looking for a freshstart?The Aviation Careers Expo is at the forefront of what thisexcitingindustry has to offer.Entry to the expo is FREE and provides a unique opportunityforstudents, graduates, teachers, parents and those seeking acareerchange to explore the diverse range of career pathwaysavailable inthe aviation and aerospace industries. Entegy designs and develops powerful communication technology thatconnects people, places and information.This Launcher app is thegateway to our full suite of meeting, event and exhibitiontechnology.To access your event app please download and enter yourunique code you would have received with your registration. 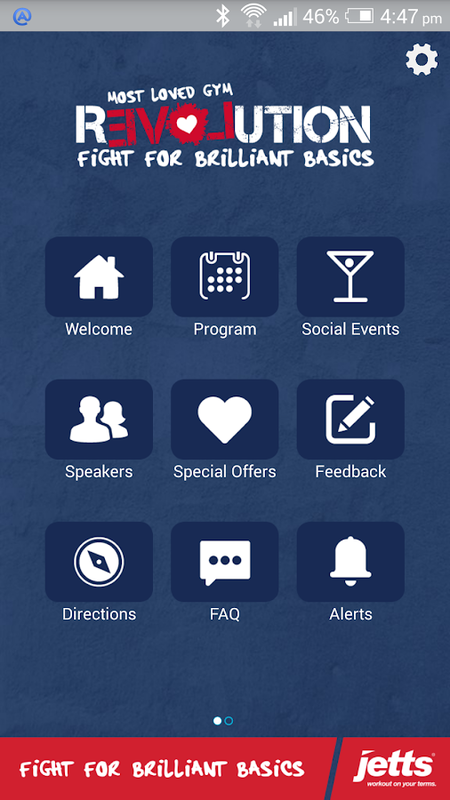 The AVD Event Launcher gives you access to our full suite ofmeeting, event and exhibition technology.By connecting people,places and information, our Event App gives event organisers,presenters, exhibitors, sponsors and attendees the ability toseamlessly communicate and interact effectively with each other. 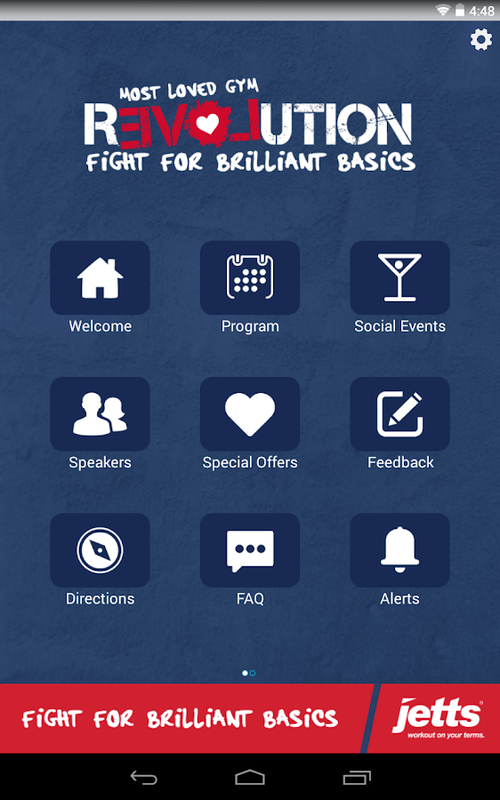 Toaccess your unique Event App please download the AVD Event Launcherand enter your unique conference/event code. The Future of General Practice Conference 2015(#fgp15) will bring together medical students, prevocationaldoctors and registrars from around Australia to deliver anexceptional academic program focusing on the themes of innovation,leadership and the future of Australian healthcare.